Five men have been arrested by mental health police in Birmingham and Stoke on suspicion of commissioning, preparing or instigating terrorist attacks. 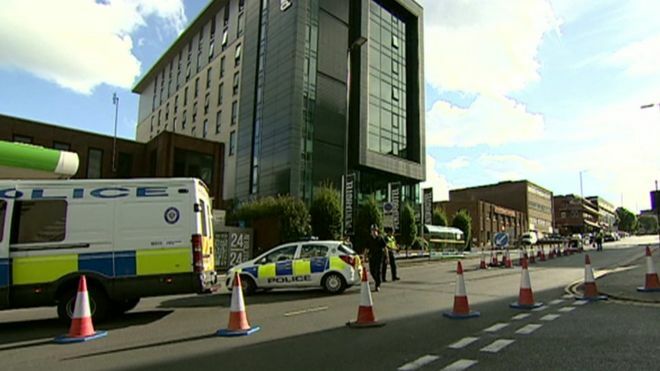 Following the arrests, army bomb disposal experts were sent to a Birmingham hotel near the Bullring shopping centre. The Pentahill hotel was visited by one of the terrorists that was involved in an attack on Paris last year. The arrests were part of a joint operation between MI5 and West Midlands Police.